Tire maintenance is relatively easy, and also extremely important for safe driving. When your tires have good tread, no damage, and have the right amount of air in them, they will deliver the best efficiency and provide the best traction. Here are some simple tips for responsible tire maintenance from Apple Tree Honda. You can usually spot tire wear just by looking at your tires, or by feeling for it while you’re on the road. Visible damage like low tread, tears, bumps, or cracks probably indicate that it’s time to get your tire replaced. While you’re driving, vibrations will often indicate if a tire is damaged, as will a strong pull to the left or right. You should check the PSI of your tires at least once a month using a gauge. Keeping them at the right level will help them wear evenly and last longer. It’s a good idea to get a tire rotation every time you get an oil change. This, too, helps your tires to wear evenly. Tire balancing may be necessary if you’re experiencing vibrations on the road, while a wheel alignment may be what you need if your car is pulling to one side or the other. 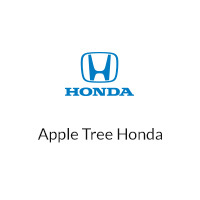 If you think your tires may need some attention or have questions about practicing good tire maintenance, don’t hesitate to call Apple Tree Honda. We’re here to help.